In need of expert Bellingham water heater repair and replacement services? Get in touch with the personable professionals at Eagle Plumbing & Heating. Call us today at (360) 318-9999. For discounts and savings on our services, click here. A water heater is an extremely useful appliance, ensuring that the water that comes out of your sinks, showers, and tubs is always kept at a comfortable temperature. Heated water is also highly advantageous in dishwashers and laundry machines, as it assists in the cleaning process. The professionals at Eagle Plumbing & Heating realize the importance of a properly functioning water heater, which is why we offer reliable repair and replacement services to ensure the efficiency and longevity of your system. 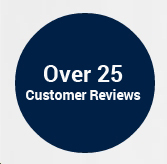 To see what your neighbors are saying about our exceptional services, click here. What are some common water heater problems? One of the obvious signs that your system has incurred a problem is if it is not producing hot water. This could indicate an issue with your circuit breaker, which is usually an easy fix. However, there could also be a problem with your thermostat, and it may need to be replaced. If loose wires are affecting your water heater, our professional professionals can locate the problem and make the necessary changes. In some cases, a malfunctioning water heater can also be due to a blown fuse. If your thermostat is malfunctioning, the temperature of your water can be affected, either becoming too hot or too cold. A faulty gas valve will also cause problems and need to be replaced. Noise levels can increase as scale builds up in the unit. This could mean that your water heater needs to be descaled to remove years of buildup within the system. Our professional professionals can clean the system, helping to remove all of the scale in order to restore the performance of your water heater. Black or discolored water can indicate rust or buildup within your unit, and will have to be cleared out. Additionally, your water heater may be dealing with a dissolved anode rod. if this is the case a new one can be put in. What are some signs that you need to repair or replace your unit? If your water heater has a leak, replacement is likely your only option, as the internal damage is likely too severe to be repaired. If your system is quite old, then the repairs required to keep it functioning properly may exceed its current value, and replacing your unit becomes the better option. Additionally, if sediment in your water heater has continued to build up over the years and has not been removed, water may not be able to move properly through your drain valve. Regular inspections can help to circumvent some of these issues. If our professionals discover sediment in your water heater early on, we can drain the system, helping you to avoid more costly problems in the future. Minor repairs, like replacing a broken pilot or a thermostat that is causing inconsistencies in you water temperature are fairly simple and inexpensive to correct. Lastly, if your water has developed an unpleasant odor, one of our professionals can add chlorine in order to sanitize it. If you are experiencing any problems with your water heater it is important to contact the trustworthy staff at Eagle Plumbing & Heating right away. What is done during a professional maintenance visit? A service plan can include an annual inspection where repairs and minor problems with the water heater are addressed. During this visit, a professional will check the valves to make sure that they are all functioning properly. The cathodic anode ray is checked and the TPR valve is tested. The heating equipment, pipes, and joints will be cleaned and aging pipes will be replaced. We also inspect the heating element as well as the pilot light to determine if there are any issues. Additionally, your water heater should be drained and flushed annually to prevent mineral buildup from occurring. Our professionals will remove any debris from the combustion chamber and clean your burners in order to ensure optimum efficiency. For professional water heater services in Bellingham and the surrounding areas, get in touch with the skilled professionals at Eagle Plumbing & Heating. Call us today at (360) 318-9999.